Our mission is to actively engage students and trainees in research projects and provide hands-on training opportunities in cutting-edge cell biology and physiology. While we're always interested in hearing from talented people who want to join our research team, potential positions are strongly dependent upon funding. Interested individuals are encouraged to contact Rob for more information. Contact Rob for more details regarding whether any postdoc openings are currently available in the lab. Requirements: A PhD in a related biological science (cell biology, molecular biology, immunology, physiology, etc.) with demonstration of successful completion of projects from his/her thesis lab. Experience in cell culture, live cell imaging, and/or electrophysiology is desirable, but not required. An MD will be considered only if paired with extensive research experience. English communication skills (reading, writing, speaking) are essential. We encourage individuals from underrepresented racial and ethnic groups, and individuals from socially, culturally, economically, or educationally disadvantaged backgrounds to apply. 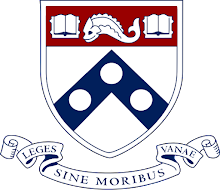 Our lab is affiliated with the Penn School of Medicine Biomedical Graduate Studies (BGS) Cell and Molecular Biology (CAMB) group, Cell Biology, Physiology and Metabolism (CPM) sub-group and the Pharmacology Graduate Group. However, any BGS student could rotate with us. Contact Rob for more information about potential rotation projects. Are you interested in getting translational and/or basic science research experience in cell biology, physiology, or otorhinolaryngology? Are you looking to build your research experience portfolio for grad school, med school, or residency applications? Contact Rob for details regarding available projects and opportunities, which are strongly dependent upon potential time commitment and funding situation.